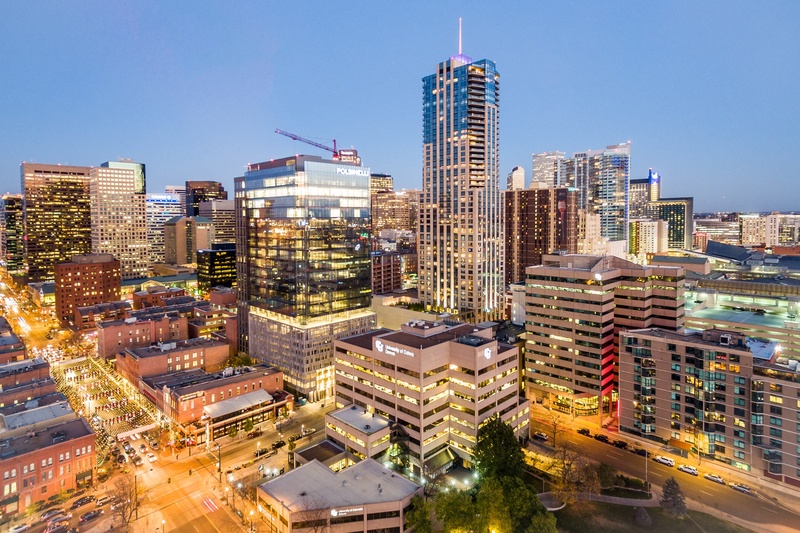 Located in the vibrant heart of downtown Denver and just minutes from the magnificent Rocky Mountains, the Master of Urban and Regional Planning (MURP) program at the University of Colorado Denver is an innovator in experiential, hands-on planning instruction, providing a world-class education at an affordable price. The cultural, intellectual, and economic capital of the Rocky Mountain region, the fast-growing Denver metropolis is at the cutting edge of new trends in sustainable urbanism, but still faces many challenges common to urban areas such as homelessness, poverty, income segregation, gentrification, housing shortages, and sprawling land development. In this way, MURP students learn from both the city’s successes and its challenges. Hands-on experience and direct interaction with communities and the region’s planning professionals are cornerstones of the MURP program. Our nationally recognized research faculty are leaders in their fields, yet make teaching a priority. Additionally, our students are taught by some of the nation’s top professionals, including practicing planners, land use lawyers, urban designers, health practitioners, and real estate developers. Students get hands-on experience working with real-world clients through class projects, studios, internships, capstone and thesis projects, and research assistantships with the College of Architecture and Planning’s centers, such as the Colorado Center for Community Development and Colorado Center for Sustainable Urbanism. Healthy Communities: focuses on creating physically, socially and economically healthy communities through approaches that address health and well-being at individual, household, and community levels. Urban Revitalization: focuses on revitalizing and enhancing established urban cores, retrofitting suburban areas, and planning new developments in ways that are both equitable and sustainable. Regional Sustainability: focuses on challenges and opportunities like air quality, water supply, habitat fragmentation, green infrastructure, parks, wild fires, energy consumption, and transportation equity. We leverage our faculty’s extensive expertise and our state-of-the-art computing facilities to provide students with quality instruction in tools for visualization, mapping, graphics and modeling. Additionally, we offer a certificate in geo-spatial technologies. Through lecture courses that focus on global planning issues and studios that involve on-site coursework and university collaborations in other countries, students can broaden their educational experience and enhance their understanding of planning issues throughout the world. The CU Denver MURP Program is a qualified WICHE-WRGP program (Western Interstate Commission for Higher Education –Western Regional Graduate Program)—the only graduate urban planning program in the Rocky Mountain region that offers this opportunity. Most residents of the 15 WICHE states who are accepted into the MURP program will pay only Colorado in-state resident tuition—a savings of more than $20,000. WICHE states and territories include: Alaska, Arizona, California, Colorado, Hawaii, Idaho, Montana, Nevada, New Mexico, North Dakota, Oregon, South Dakota, Utah, Washington, Wyoming, and the Commonwealth of the Northern Mariana Islands. Find out more about the day-to-day happenings of the CU Denver MURP Program at our new MURP Community Website.